I hiked the Tour du Mont Blanc over nine days in July 2015, camping every night, and I wouldn’t have done it any other way. I was able to stay outdoors rather than the shared dorms of the Refuges. As there is no pre booking I had more flexibility about the distance and route I covered each day, the cost was lower, and it was satisfying to feel totally self-supported. Unexpectedly though, finding the campsites at the end of a long day was one of the most stressful elements of the trip for me. 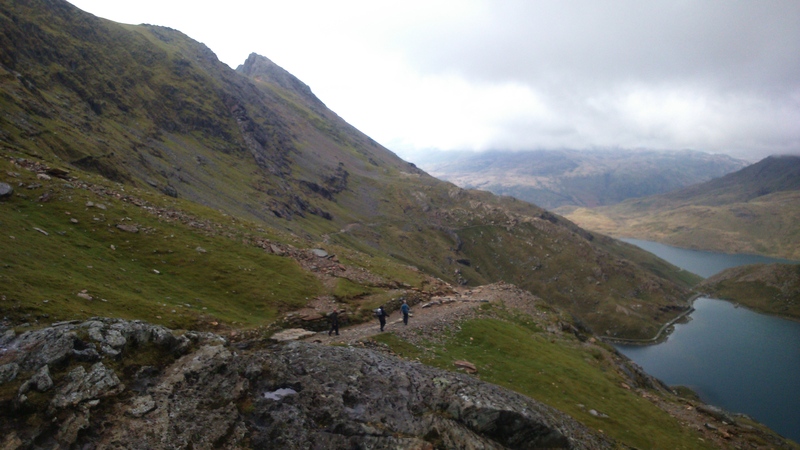 I used the Cicerone guidebook, which is aimed at walkers staying in Refuges on the route, but I found that it didn’t provide adequate information for me. Some campsites were a little off the standard route of the TMB, meaning that I had to walk further at the end of the day on a route not described in the guide. In some cases it was necessary to extend the day described in the book to reach the next place to camp. These are not real problems, but I would recommend a little extra planning to supplement the guide. This entry was posted in Camping, Hiking and tagged #thisgirlcan, adventure, backpacking, Camping, Hiking, tour du mont blanc, travel on August 9, 2015 by Anna Paxton. 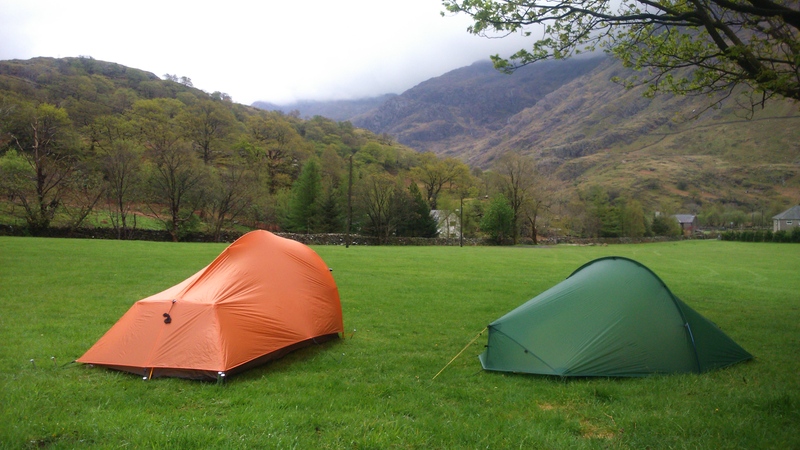 Ultralight backpacking – what are the essentials…? 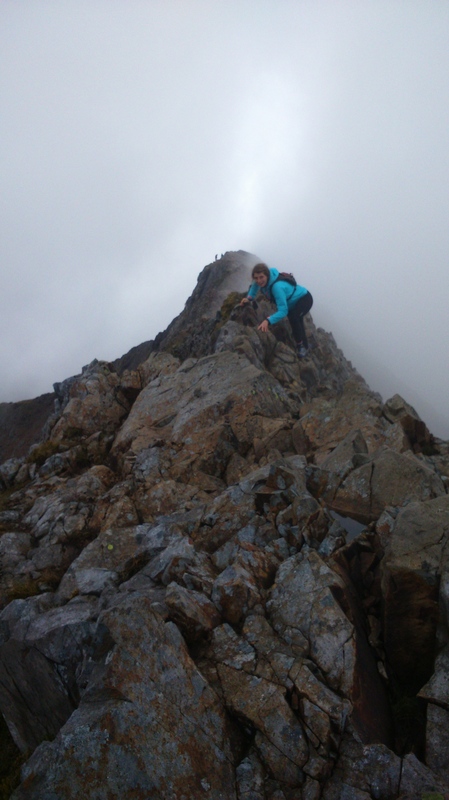 The first ‘proper’ scramble I did was Pinnacle Ridge on the Scottish Isle of Skye. 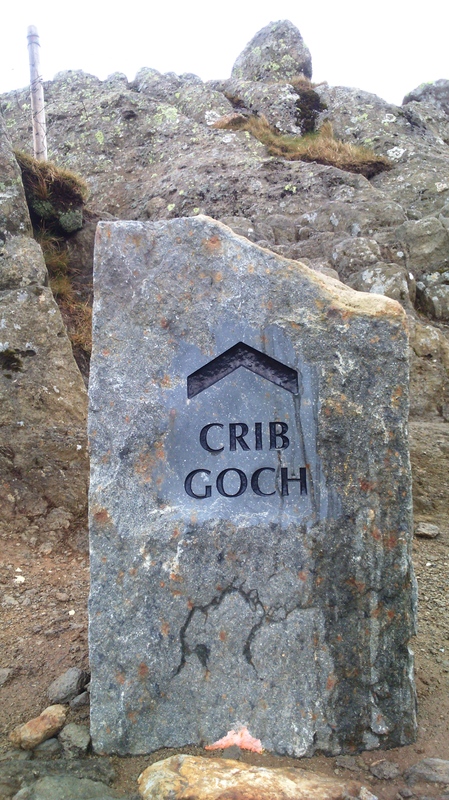 It’s an 11km hike involving easy rock climbing and an abseil over 6 Pinnacles on the Cuillin Ridge. It reaches a high point on the summit of Scurr Nan Gillean, a Munro with a height of 964m (3162 feet). I’d never done anything like it before. I didn’t know what to expect or how to prepare, and I carried all sorts in my bag including, for some reason, flip flops. This entry was posted in Camping, Gear, Hiking and tagged #thisgirlcan, adventure, backpacking, Camping, climbing, gear review, Hiking, travel, ultralight, women on June 15, 2015 by Anna Paxton. Pembroke is a good five hour drive from the Peak District, and I was glad to leave the busy motorway for South Wales’ winding country lanes. Our journey finally ended as far west as it is possible to go, in St Davids, Pembrokeshire, a county that is bordered by sea on three sides. On the very edge of the country where the last of the land drops away are the sea cliffs that we were there to climb. 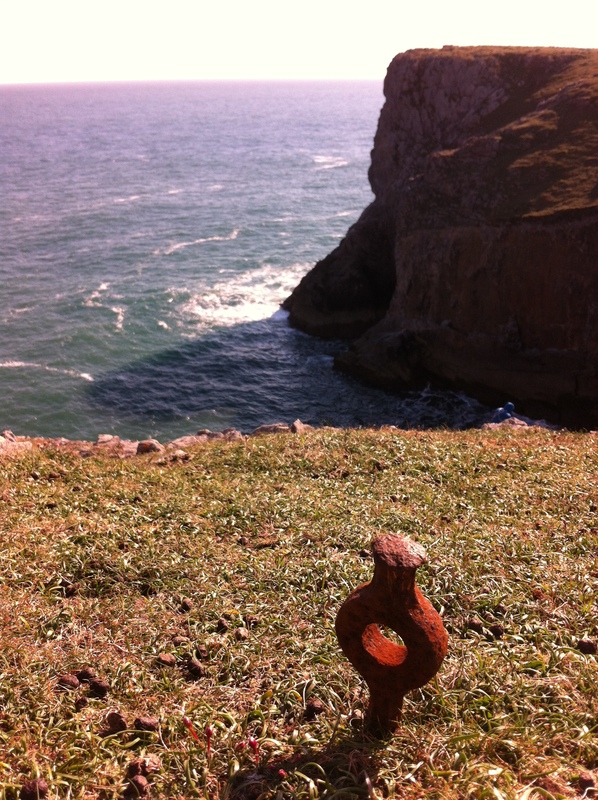 Day 1 – We started at Craig Caerfai, only 600 meters from the car park it has an incredible view across Caerfai Bay. The descent runs down a gully at the corner of the cliff, and we set up an abseil using stakes driven into the cliff top. 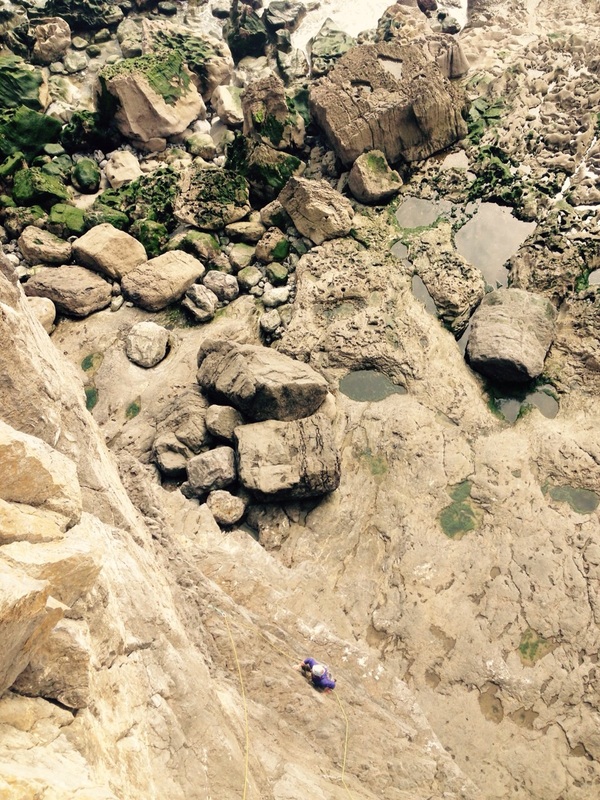 As I lowered myself to a platform of rock washed at the edges by the incoming tide I felt aware that I had to be sure I could climb back out, but the limestone was warm and the routes are short and friendly. It’s a perfect introduction, and we ticked as many as we could before the sun began to set. Day 2 – We headed to Porth-y-FFynnon, a tiny purplish sandstone slab a few hundred meters from the campsite. As we set up the abseil it began to rain, and we were forced to admit that the slab was just too wet to climb. We dashed to south Pembroke to chase drier weather, choosing an area that would not be affected by the afternoon high tide. 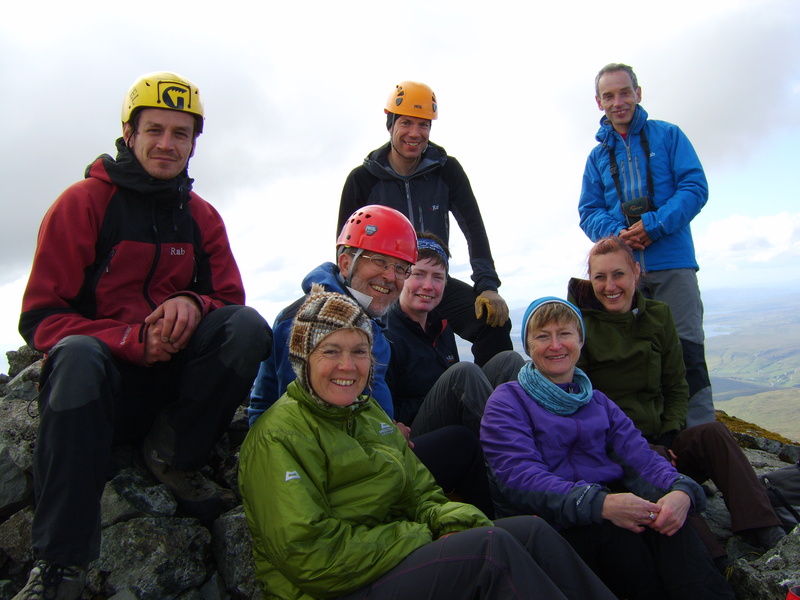 Stennis Head was the only crag of the weekend that involved a short scramble rather than an abseil in. Starting from a sloping ledge well above the sea, we had time to enjoy a couple of routes including a short but interesting traverse under a mini roof. 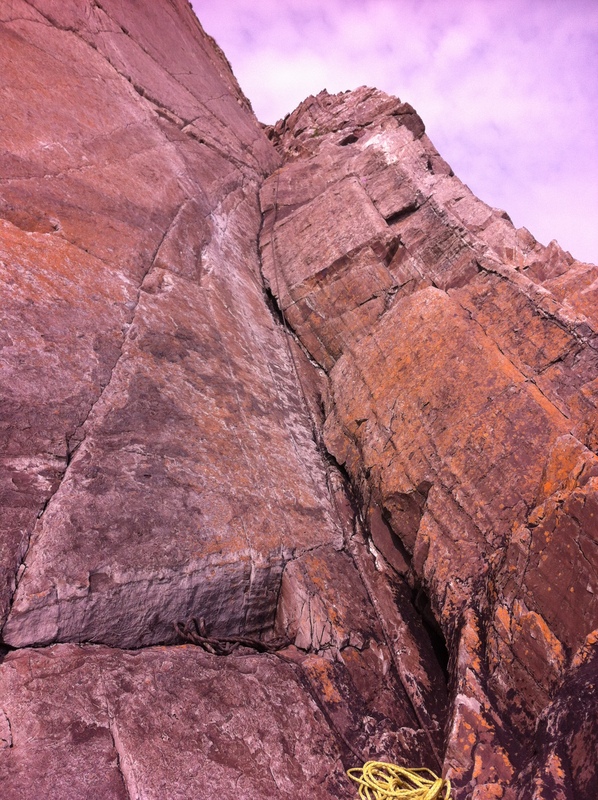 Day 3 – We made our way Stuntsmans Buttress where I was keen to lead a route called Myola. I was excited to commit to a route I hadn’t even seen and enjoyed the abseil to an otherwise inaccessible niche in the rock. 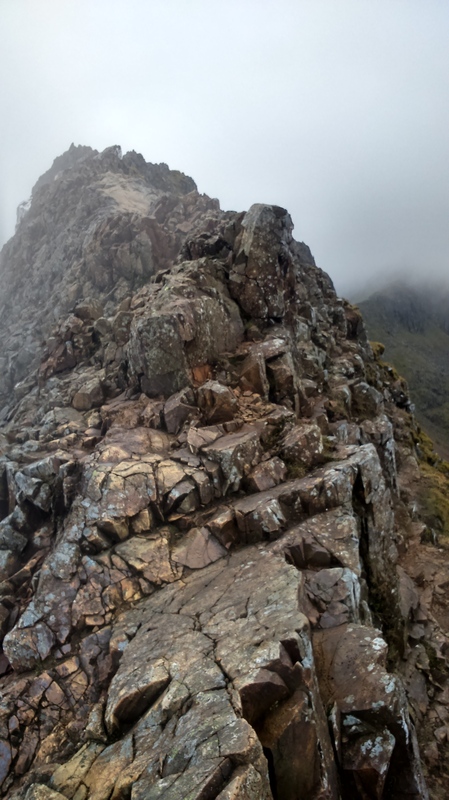 The route follows a long diagonal groove from sea level right to the top of the cliff. As I waited in the niche I had time to absorb the unique position, surrounded by nothing but rock and sky, waves breaking beneath me as the tide rushed in over bleached white boulders. As I started to lead the position felt a little intimidating, but the climbing itself was never too hard and the whole experience was incredible. The next route involved tricky route finding, sparse gear and tiny limestone edges – great climbing and perfect for me to second. Feeling the need for a little relaxation we walked over to investigate nearby Saddle Head which has a selection of lower grade routes and a totally different feel. There were crowds of people, but it was a good choice for a quick and easy route to end the day. 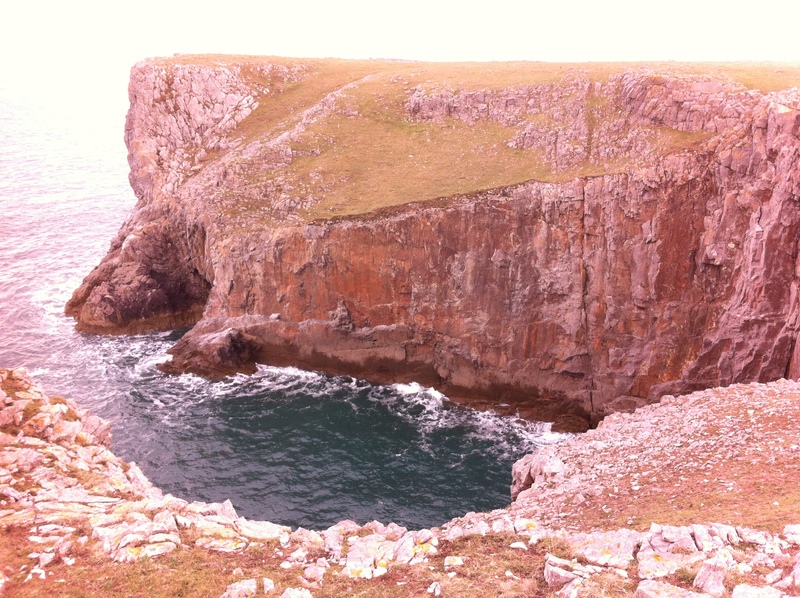 Day 4 – Our final day was spent at St Govan’s Head, the most popular area to climb in Pembroke and it’s easy to see why. There are so many routes we were spoilt for choice, but as time was limited we decided on the top 50 classic route Army Dreamers. 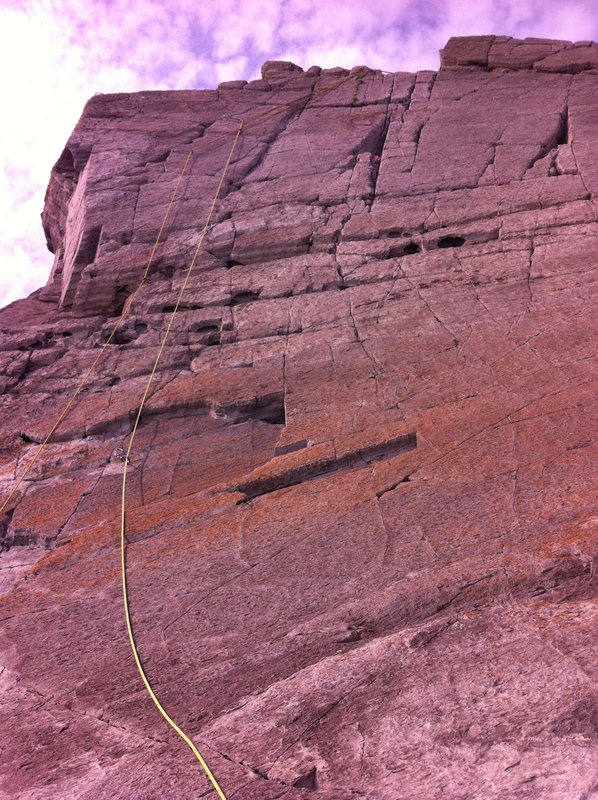 It starts with steep juggy climbing, followed by a short thin traverse to a pumpy technical section up a thin crack. It was the best route of the weekend, and as well as offering fantastic climbing, there are some beautiful ammonite fossils on the route. 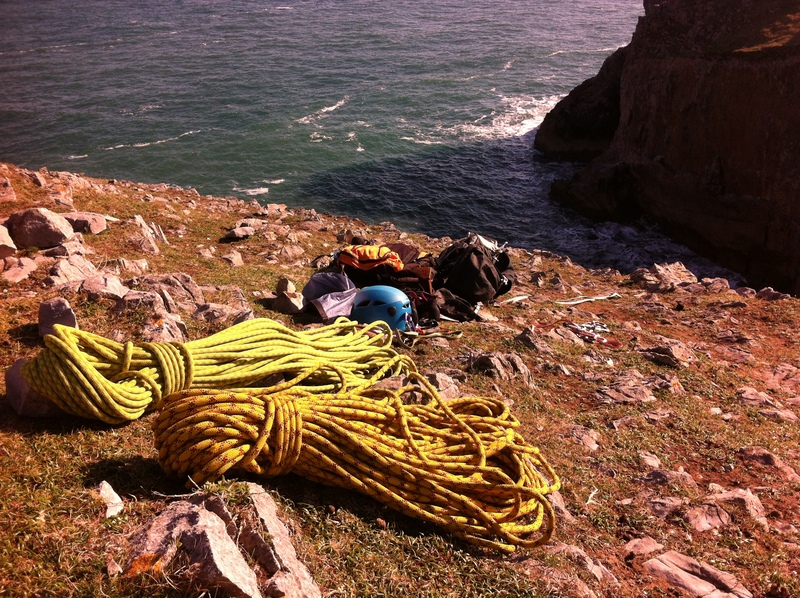 The variety of climbing combined with camping in lush green fields with a sea view makes Pembroke a perfect location. The trip was a great introduction to the area, and I can’t wait for the chance to get to know it better. 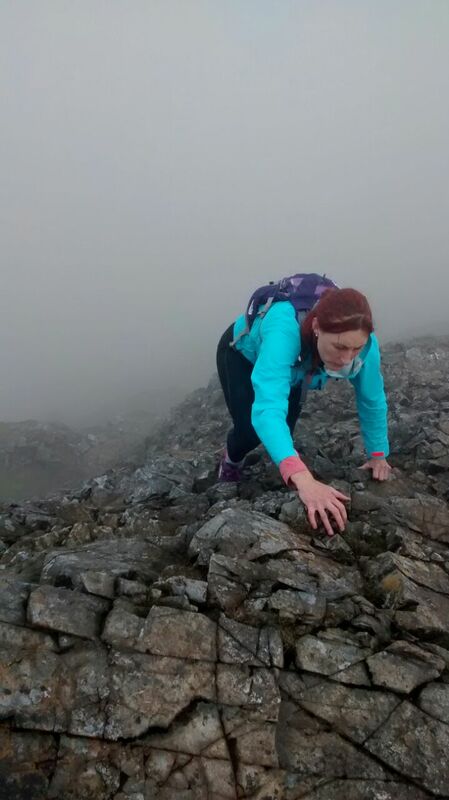 This entry was posted in Climbing and tagged #thisgirlcan, adventure, Camping, climbing, photos, travel on May 31, 2015 by Anna Paxton.